Celebrate Ten Years of Publishing with the Only Real Estate Investor’s magazine owned by active California investors whose mission is to help others learn about the benefits of owning real estate as a means of creating long-term wealth. 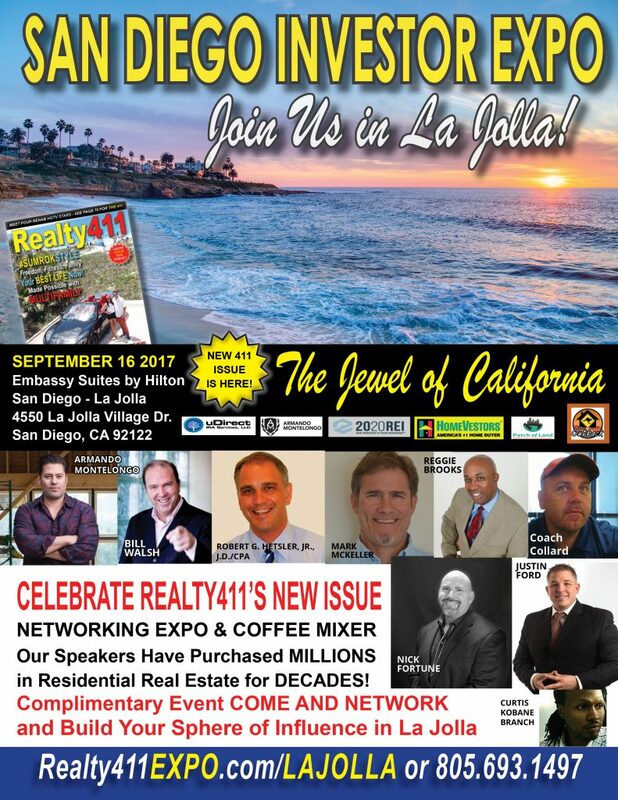 Realty411 magazine, the nation’s longest-running magazine and expo company owned by a California investor, is hosting a complimentary, all-day real estate investor’s expo this Saturday at the Embassy Suites La Jolla in San Diego to increase the public’s awareness about real estate investing. The expo starts at 9 am with breakfast mixer where guests can get up-close and personal with their favorite speaker and get to know other like-minded people who are also interested in entrepreneurship and acquiring wealth-building knowledge. Buying and Flipping Homes in CA and Out of State and More! Coverage of this event can be seen in the local media, including the La Jolla Light, La Jolla Village News, San Diego Downtown News, Beach and Bay Press, among others. Don’t delay, reserve your seat. Realty411 was founded in 2007, serves the needs of real estate investors, private lenders, real estate agents, brokers, service related professionals and is a must-read for anyone interested in growing long-term wealth through real estate. 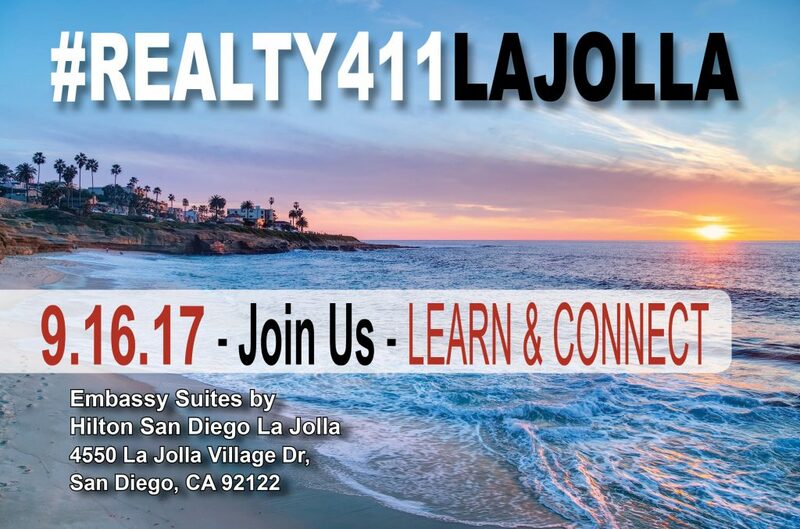 Realty411 has been hosting real estate mixers and events since 2006, prior to even starting our publication. San Diego is the city where their monthly, digital-only issue, REI Wealth magazine (http://reiwealthmag.com), first began three years ago. The event is also hosted by the Outback Real Estate Investment Network, whose local club is in the area. * We Want & Can Help YOU Succeed As We Have. Bring Lots of Cards.